When it comes to setting the stage for learning, individuals on the Autism Spectrum need to continue their learning experiences even after school. This requires responsibility from therapists, caregivers, and parents. Each must work together to help create a learning environment in the home that continues to provide opportunity to expand the vital skills a child is working on. This includes setting up a home environment, understanding your child’s classroom setup or making suggestions at their after school program. Here are five goals to focus on when evaluating a school-related learning environment in the home for children with Aspergers or HFA. It’s ok for kids to take a break after school and have some down time, but preventing total shutout is important. 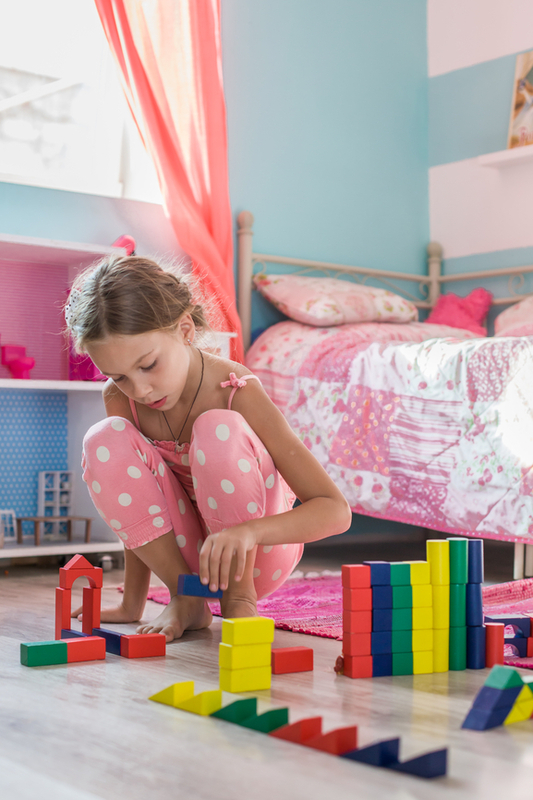 Whether it is a play activity or helping with homework, making this part of the routine will assist with expectations that the child will need to interact for an expected amount of time. Use visual charts to show the steps expected to follow directions without reminders. This is especially useful for morning and bedtime routines. It may take some time to teach the sequence to complete the task. However, using the visual will allow the child to find the solution on their own rather than get in trouble for not completing the task. On the flip side of promoting independence, we want our kids to initiate social exchanges with others. This, as we know, is an area of difficulty for individuals on the Autism Spectrum. Setting up situations where communication is a must can make a difference by making them more comfortable socially. One way to do this is by putting desired items (like a snack or play toy) out of reach so they have to request help. This sets up the situation so the child has to initiate an exchange with you if their motivation is high enough to really want it! Sometimes challenging behaviors can be decreased by allowing a child to remain in control of their world. This includes offering options—either visually or verbally—between two possible outcomes. This allows the individual to make the final decision. But make sure the options are choices you both would be happy with. Providing the weekly Medical Blogs are the team of professionals, doctors, occupational and behavioral therapists at San Antonio’s premiere Autism Diagnostic Clinic, the Autism Community Network. Contributors include: Executive Director Dr. Loree Primeau Medical Director Dr. A Patricia Del Angel Training and Research Director Dr. Berenice de la Cruz Carrie Alvarado, OTR, PhD©, DIR/Floortime-Certified Lupe Castaneda, MS, BCBA Adriana Sanchez, MA, BCBA Dr. Gayla Aguilar, OTR, OTD, C-SIPT Megan Kunze, MA, BCBA The ACN teams works to maximize the potential of children with autism through their administrative, clinic, training and development departments. Their expertise on Aspergers Syndrome is offered to you through aspergers101.com. Just thought after reading your article I shouldn’t leave without asking a question to you. Is it really need for children “school-related learning environment in home” ? I think this can be make children guidance. Hope, will get a response soon from you.